A recent offering from Emma Mumford’s blog details her birthday shopping spree, during which she bought £39.14 worth of products and spent only £5.82: in other words, an 85.2% saving. A shopping spree in July yielded still better savings: 97.8% of the items were free. Other times? A completely free shop. These are typical achievements for Coupon Queen Emma, who invests time in hunting down free coupons to cut down the cost of her shopping. Since setting up the Extreme Couponing & Deals Facebook group in August 2013, her fan base has grown and grown. It now has 56K+ fans. There’s a website too – Extreme Couponing & Deals Uk – as well as an Instagram account with 6K+ followers and Twitter account with 1K+ followers. Emma uses her blog to update her loyal fans on her latest shopping successes. If you haven’t checked out her website yet, delve in. She links to free coupons for myriad products categorised by Pregnancy, Pets, Groceries, Household and Health & Beauty. She gives tips on making the coupon lifestyle work for you, she lists discount codes and sneaky glitches, she runs free competitions and she keeps a blog of her thrifty escapades. You’ll find blog posts about doing your Christmas shop with coupons in August and reviews of money saving products. Bookmark her site and Facebook page and use them to alert you to new coupons, the see how much of your shopping you can get for free. We caught up with Emma for a chat about what she does. Do you remember your best ever saving? That’s so tricky as I have so many! My biggest grocery shop is £157 for FREE and they paid me 6p overage out of the till which I really didn’t expect. Clothes-wise I brought my whole S/S14 wardrobe for £60 from £380. These days, do you ever shop without coupons or discounts? Now I would say I use coupons and discounts all the time I very rarely pay full price, it’s a useful habit which keeps on saving me money. Which websites are your favorite for freebies and coupons? I’m very biased! I love Latest Free Stuff for Freebies; it’s really well laid out and I always find freebies I’ve missed before. Coupon wise I love CaringEveryday and I’m also a Groupon lover I’ve found lots of bargains and getaways on there. Emma is generous with her secrets to success. How many of your coupons come in reply to your Complimenting letters? I would say 80% are from manufacturers. I make a list of who I’ve contacted and what I’ve received before so I don’t repeat myself. Many followers think I get given them because I use my name and status which I really don’t; I never use my real name as I don’t want them to be biased or know my address. I work hard and know what works, that’s why I’m Coupon Queen! Are there certain business that are most generous with giving coupons? P&G are great. Also smaller companies who you wouldn’t normally contact. Always approach them when you see them either advertising a new product or offer; they will be more generous. Sometimes you mention using, for example, ‘3 x 50p off coupons’ in store. Is this normally allowed or do some places only allow you to use one of the coupons? As long as the coupon states one per product not transaction you are okay so just make sure you have three products for your three coupons. What sort of reactions do you get from fans? I love my fans. They’re so loyal and I love seeing all their savings and they even teach me new things! So I like to think my page is more of a community than me telling everyone what to do. I do get a lot of trolls, I don’t know why or what they have to prove, but I just ignore them, it’s the best policy! My loyal followers soon put them in their place. And how about from cashiers? Most cashiers love it and are amazed, they often take my page details to start themselves. But I couponed on Oxford Street the other day for the first time and got so many bad looks! 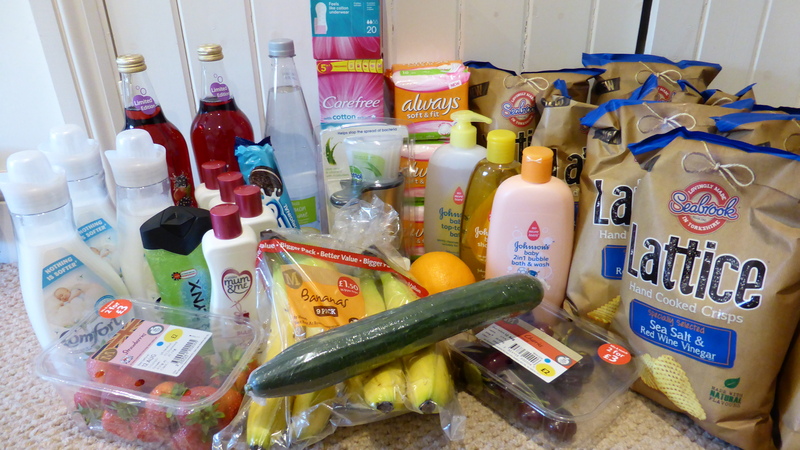 The Coupon Queen sites one of her best savings as £157 worth of groceries for FREE. What sort of fan base do you have? We are full of women! I feel sorry for the men… I do try and post a variety of deals but the parenting and beauty deals seem the most popular and most frequent. You mention lots of apps on your blog. Which one could you not live without? Personally, Instagram. I love taking photos! Saving money-wise I love cashback apps like Shopitize and CheckoutSmart. Did you have a specific business plan when you started out or did things escalate by themselves? Did businesses approach you or was it the other way round? Not at all, I still find it funny to say I have made a business from this. It happened completely by accident and truly is my dream job. People forget I’m just one person posting content and dealing with inquiries everyday so I will need to get some staff soon! Any final top tips for us? Keep updated, stay organised and don’t rush to buy an item there and then: wait, browse online and find the best deal and discount. 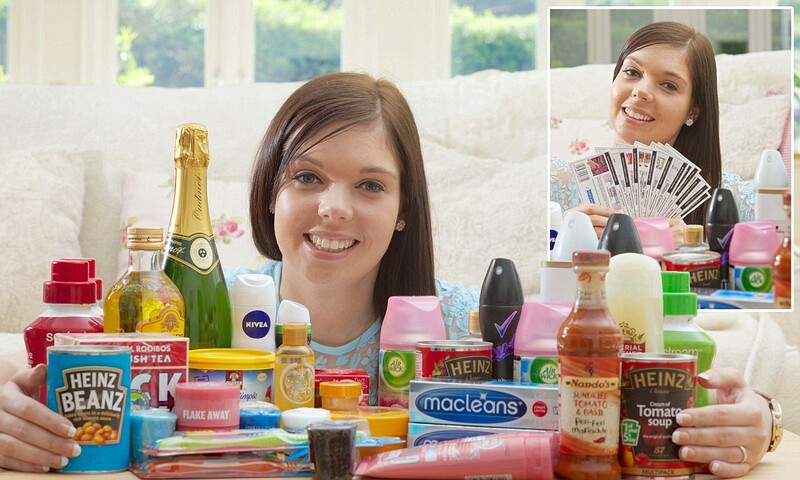 Check out The Coupon Queen’s today and dive into the addictive world of extreme couponing.